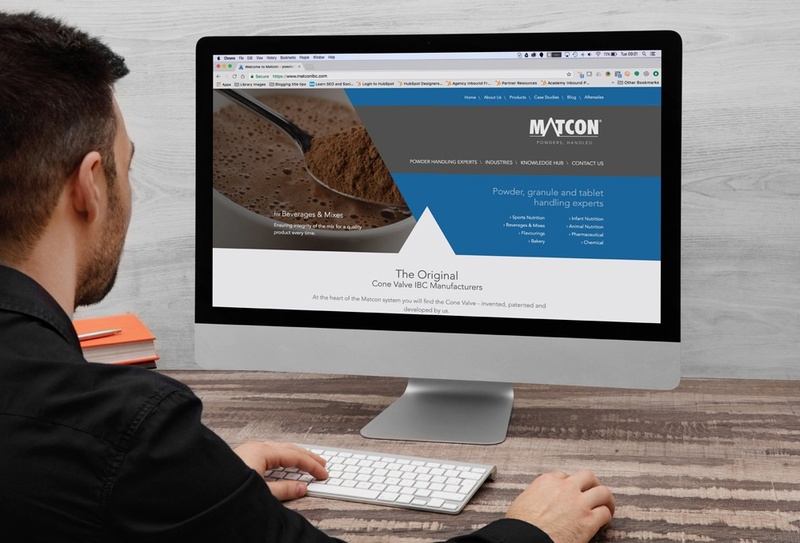 Introducing Matcon’s new website; focussed on helping customers with the powder handling challenges faced on a daily basis. The new customer centric design offers clients and visitors access to a wealth of new information. 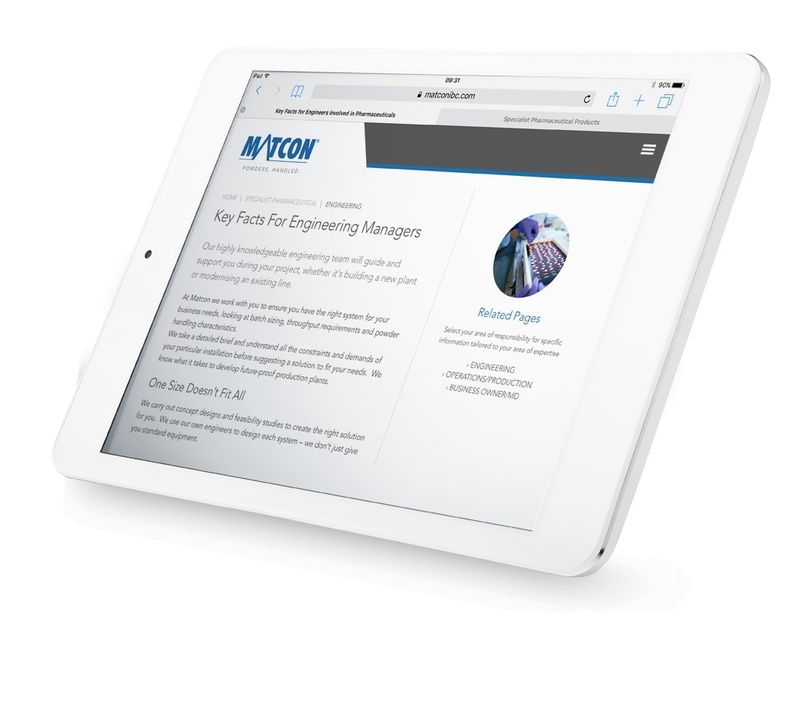 Matcon have taken their many years of experience in powder handling techniques and have condensed and ordered this knowledge into an easy to access online format. Information is now categorised by industry, process and even by job role. Easier access to help and advice. Information is now easier and quicker to access and if you can’t find what you’re looking for there are multiple access points throughout the site where you can contact their team of sales engineers for help and advice. Matcon shared their wealth of knowledge. In a few simple clicks you can be directed to your specific industry, product, process and an entire portfolio of case studies, helpful guides and whitepapers. Information is tailored to your needs. Whether you need help with improving production efficiencies or have a specific powder handling problem you’re trying to overcome, they have spent time collating the information you’re most likely to need. 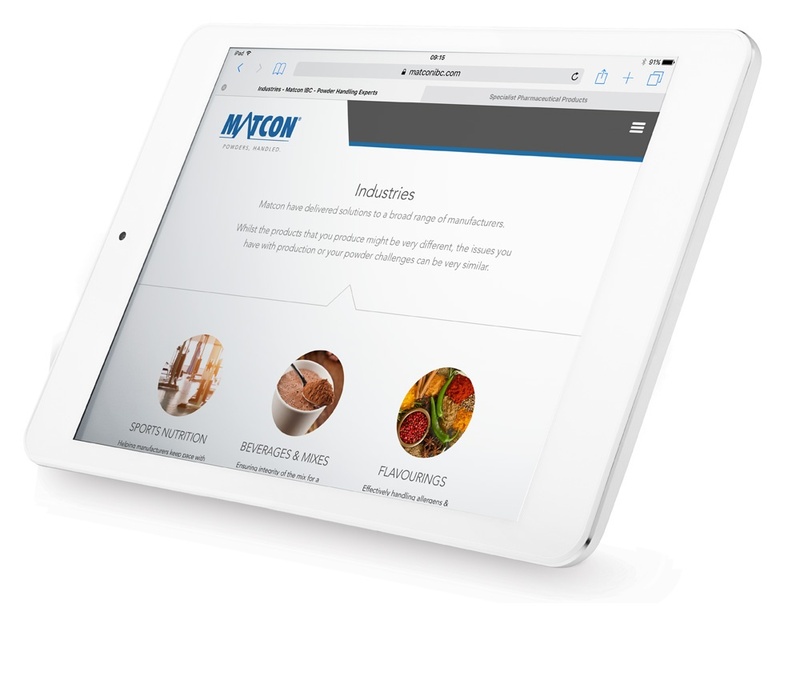 For example, an engineer in the Sports Nutrition field is able to access a page highly specific to their needs with technical data, downloads, common issues and solutions. Relevant to your requirements. Much of Matcon’s knowledge is ordered by powder handling issue. These are the usual problems that they regularly encounter and resolve. Therefore if you are looking to fix a particular problem, you can quickly get the answers you need, read technical articles on the subject and contact Matcon's team directly if you need further help with anything. anywhere, anytime. If you come across a problem that isn’t answered, there are multiple touch points to reach out to one of their sales engineers. This new website represents phase one of an ambitious plan to offer Matcon's customers and visitors a wealth of information that hasn’t been available online before. It will help them improve their manufacturing efficiency and overcome any powder handling issues they may have.